Killed this one the other night. 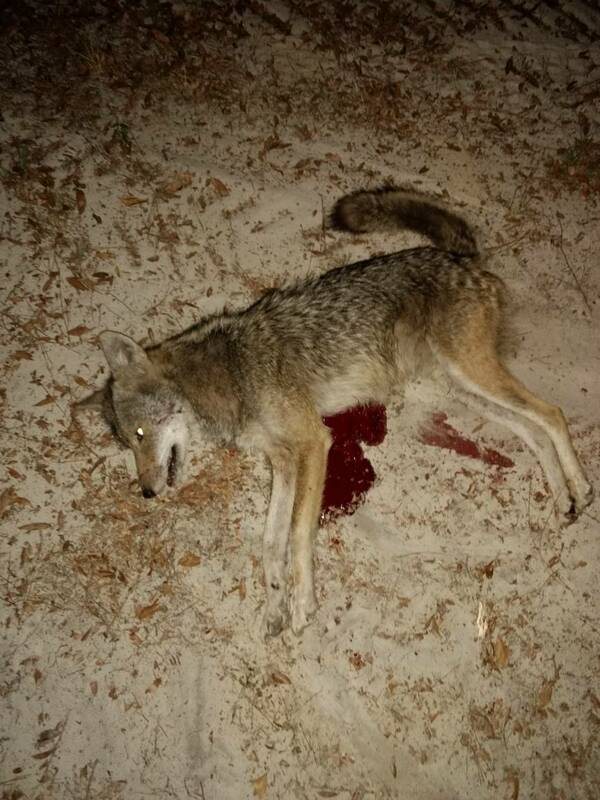 Came to coyote distress 3 and coyote pup screams. He answered a female deep howl initially. He had a deep raspy bark and howl like I've never heard before. You obviously opened him up pretty good. Good picture of a job well done. Thanks for posting. Congrats on your success and thanks for sharing.